Ultra Flexible Duraflex Sleeve. 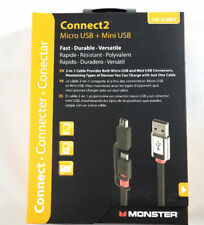 MONSTER Cable Micro USB Cable Mini USB Adapter. We do this to help guard against stolen credit cards and identity theft. There is no exceptions to this rule. (20% of the final sale price of the item). Exclusive Monster design for iPhone 6, iPhone 5, iPod touch 5th Gen, iPod nan 7th Gen, iPad 4th Gen, iPad mini. Manufacturer: Monster Cable. 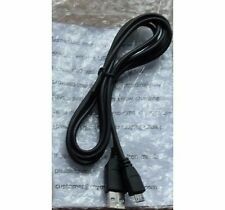 8-Pin to USB Cable - Black. Give us a shot and we will make sure that you will look to us again! Monster specially designed iCable for iPad to minimize confusion between your other white cables. Heavy-Duty Monster cable construction combined with an ultra-durable and flexible Duraflex jacket makes it ideal for the iPad. 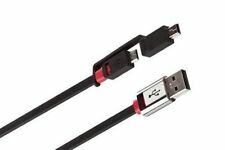 Monster Micro USB Mini USB to connect multiple devices. 2 in 1 cable for multiple devices. Heavy Duty Dual Layer Shielding. Flat design to prevent tangles. Superior MONSTER quality. Item model number: MM iSplitter 1000. You're already purchasing the item. Give us a shot and we will make sure that you will look to us again! Quality Products. 12mo Warranty! Ships Fast w/Tracking! 60dayMoney Back! Direct connection for superior sound. Our Process. 24k Gold 3.5mm jack for easy connection. 2.1 amperage output for power hungry devices. 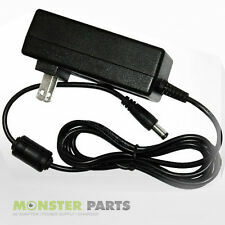 We have over thousands Power Adapters, We can help you get the right one ! 110V - 220/240V Worldwide Use. 100 % New OEM Components. 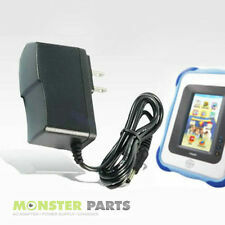 We have over thousands Power Adapters, We can help you get the right one ! 110V - 220/240V Worldwide Use. (E.g. you brought wrong size or wrong item). 100 % New OEM Components. 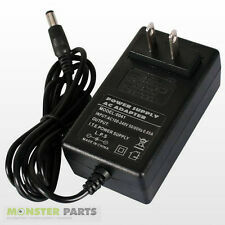 We have over thousands Power Adapters, We can help you get the right one ! The actual item may vary slightly from picture. 110V - 220/240V Worldwide Use. (E.g. you brought wrong size or wrong item). 6 foot HDMI cable with bonus 6 foot Ethernet cable. Cables are 6 foot in length. 110V - 220/240V Worldwide Use. We have over thousands Power Adapters, We can help you get the right one ! The actual item may vary slightly from picture. (E.g. you brought wrong size or wrong item). WALL Switch Power Supply CHARGER ACER ICONIA TAB A100 A500 A200 A Series 10.1"
We have over thousands Power Adapters, We can help you get the right one ! The actual item may vary slightly from picture. 110V - 220/240V Worldwide Use. 100 % New OEM Components. We have over thousands Power Adapters, We can help you get the right one ! 110V - 220/240V Worldwide Use. (E.g. you brought wrong size or wrong item). We have over thousands Power Adapters, We can help you get the right one ! 100 % New OEM Components. (E.g. you brought wrong size or wrong item). We have over thousands Power Adapters, We can help you get the right one ! The actual item may vary slightly from picture. 110V - 220/240V Worldwide Use. 100 % New OEM Components. (E.g. you brought wrong size or wrong item). Monster Cable iMotion CarPlay Direct Connect 3000 for iPad, iPod and iPhone (English/French/Spanish).